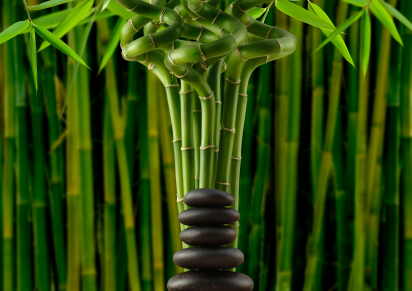 More and more home owners are now opting for the ancient Chinese science of Feng Shui to plan out their homes. This is because even a few minor changes that Feng Shui suggests bring about a remarkable positive change in one's life. A family residing in a posh locality of south Mumbai too have experienced this miraculous change in their lives, merely by following a few principles of Feng Shui. The head of the family sought Feng Shui solutions for a gamut of problems. He recounted that the family had simply stopped growing in wealth or making anyprogress career-wise. He had a marriageable daughter, another in college and a school going son. He even mentioned that in the present scenario, it would have been impossible for him to carry out any major changes as per Vaastu Shastra or Feng Shui. So, he asked for solutions that could be easily implemented. This is where the beauty of Feng Shui lies. The idea is not to disturb the basic spirit of the house by suggesting breaking of walls, etc., but to bring about drastic changes in your life with the slightest change in your environment. When I visited their house, I found that their three-BHK home was cluttered with old clothes, mementos, gifts, et al. They seemed to have never thrown away anything at all. So, the family was instructed to discard whatever wasn't required to make some space in their house. Following which, the family removed old unwanted clothes, chipped crockery and broken showpieces. They spent hours disposing all the gifts, the decorative trays, dusty candles, frayed cushion covers, outgrown sneakers, etc. The de-cluttering process went on till two weeks and after that the house looked like a changed place, without having made a single alteration. Post this, a few things were rearranged and the house was given a wet cleaning. Previously, every visible surface of the house as well as its nooks and crannies had been jammed with unwanted and unnecessary things. However, the de-cluttering created a lot of space in their home for positive energy to come in and reside. Thus, in a few months time, things began to look up for the family. They celebrated their elder daughter's wedding within six months. The second daughter settled in her career and the father's business too picked up. With better income and prospects, they gradually implemented the other changes suggested to them, such as a fresh coat of paint, changing the colour of their upholstery and repairing leaking pipes. In simple words, Feng Shui is all about ushering in positive energy (read that as wealth, health and good luck) into your living space and allowing it to reach everyone in the family. No, this isn't some exotic variety of mango. 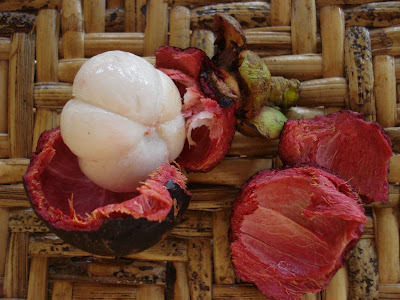 Native to Indonesia, Mangosteen is sweet and tangy, juicy, and somewhat fibrous, with an inedible, reddish purple rind. - Mangosteen contains more than 40 biologically-active, natural chemical compounds called Xanthones - powerful antioxidants and immune system boosters. Alpha-mangosteen, for example, is a very potent antioxidant. Gamma-mangosteen is a powerful anti-inflammatory. Garcinone E is a strong anti-tumour agent. - Scientists have found that the fruit is helpful in preventing and possibly even stopping a wide range of diseases like diabetes, heart disease, Alzheimer's disease, and other chronic diseases. - Mangosteen also contains Polysaccharides. This is a highly potent anti-cancer and anti-bacterial plant compound. They help block a mutated cell's ability to stick to healthy cells to help stop the spread of cancer, and are specially effective against intracellular bacteria. A study is now underway to test the effectiveness of Omega 3 fatty acids ( fish oil) for treating psychiatric symptoms. This new study by Researchers at Zucker Hillside Hospital's Recognition and Prevention (RAP) Program, is a randomised double-blind trial that was designed to test whether Omega-3 fatty acids improve clinical symptoms, and help adolescents and young adults (ages 12 to 25) who are at elevated risk for severe psychiatric disorders function better in school, work and other social environments. "Of the 300 adolescents who have participated in the RAP Program, most have shown substantial improvement," noted Barbara Cornblatt, Ph.D., director of the Recognition and Prevention (RAP) Program and investigator at The Feinstein Institute for Medical Research. "If this study continues to show success, Omega 3 could offer a natural alternative to the range of medications and therapies now offered to RAP participants. Ultimately, the goal of the RAP Program is to intervene and prevent illness before symptoms get worse," Cornblatt added. Omega 3 fatty acids are critical for normal brain function and they have been increasingly studied as potential treatments for medical and psychiatric disorders. The RAP Program study will randomly assign participants to either Omega 3 supplementation or to a placebo, and will compare the groups on key measures of symptoms and functioning after six months. Participants in both groups will be monitored closely on a monthly basis and compensation will be provided. All supplements are offered free of charge. Daily intake of skimmed milk, enriched with two components found in dairy products, may help reduce painful gout flare-ups, a new study has revealed. Previous long term research has shown that the risk of gout is greater among those whose diet is low on dairy products. And experimental studies indicate that certain components of dairy products, particularly glycomacropeptide (GMP) and G600 milk fat extract (G600), seem to dampen down the inflammatory response to gout crystals. The authors studied the frequency of gout flare-ups in 120 patients with the condition over a period of three months. All the patients had experienced at least two flare-ups in the preceding four months. The patients were divided into three different treatment groups: lactose powder; skimmed milk powder; or skimmed milk powder enriched with GMP and G600. Each powder was mixed in 250 ml of water as a vanilla flavoured shake and drunk daily. The patients attended a rheumatology clinic monthly to check on their requirement for medication and their symptoms, which they recorded using a daily flare diary and validated pain scale. There were no significant differences among the three groups at the start of the study in terms of frequency of gout flare-ups, pain, or drugs used to treat the condition. In all, 102 patients completed the three-month study. And the results showed that those on the enriched skimmed milk diet had a significantly greater reduction in gout flare-ups compared with the other two groups. They also had greater improvements in pain and the amount of uric acid in their urine than those in the other two groups. This was matched by a trend towards a reduction in the number of tender joints. The enriched skimmed milk diet did not boost weight gain or increase the levels of potentially harmful blood fats. "This is the first reported randomised controlled trial of dietary intervention in gout management, and suggests that daily intake of skimmed milk powder enriched with GMP and G600 may reduce the frequency of gout flares," the authors concluded. The study has been published online in the Annals of the Rheumatic Diseases. Washington: Watermelon is good in the case of atherosclerosis or hardening of arteries. The model used for a study involved mice with diet-induced high cholesterol. One group was just given water to drink while the experimental group was given watermelon juice. By week eight of the study conducted by the University of Kentucky, mice given watermelon juice had lower body weight than the other group due to decrease of fat mass, according to a varsity statement. Atherosclerosis occurs when fat, cholesterol and other substances build up in the walls of arteries and form hard structures called plaques. They experienced no decrease in lean mass. "Melons have many health benefits," said lead investigator Sibu Saha from Kentucky University. "Our ultimate goal is to identify bioactive compounds that would improve human health." Is your resolution this year to lose excess weight and stay healthy? Then get some inspiration from these three UAE residents who in total shed 45kg to emerge winners in more ways than one. It's so common that it even has a phrase - the Dubai stone - coined in its dubious honour. The propensity to pile on kilos after moving to the UAE is one that is familiar to the overwhelming majority of the UAE's many expats. With a generally sedentary lifestyle that sees most of us drive to the office, spend our working days sitting at a desk then return home to end up on the couch watching TV, it's easy to get little or no exercise at all. Add to this a social scene largely centred on eating out, with ‘American sized portions' and the almost legendary Friday brunches being two of the main culprits, and it's little wonder so many of us find that our entire wardrobe has mysteriously shrunk after a year here. But rather than lay the blame squarely at the feet of car-driven, fast-food-laden living and resign ourselves to our tubby fates, how about making a resolution to shed all the unnecessary kilos this year and kick-start that healthy new life we've been promising ourselves? I’d put on weight since moving to Abu Dhabi from the US in September 2010. It’s so easy to eat a high-calorie diet here – there are the popular Friday brunches and bakeries and ice-cream shops on almost every street corner. My wife Janet and I have a two-and-a-half-year-old daughter, Sam, who has hypoplastic left heart syndrome, [a congenital heart disease in which the left side of the heart is underdeveloped], and over the last two years she has had two open heart surgeries. So I spent a lot of time shuttling to and from the hospital, grabbing convenience food on the go, which contributed to my substantial weight gain, until I ended up tipping the scales at 91kg. I also took time out from working as a fire-fighter and paramedic nurse to look after Sam full-time, so the transition to a stay-at-home dad was another factor. My target was to lose the 15kg I’d put on and to fit into the trousers I was wearing the year before. During the competition, I drastically transformed my diet and lifestyle. I’m American, from the South, and we like our fried food, but I cut that out along with sugar and sodas. It was tough: I craved all the foods I couldn’t have and didn’t lose any weight the first week. But after that, my weight loss was pretty steady, about 1-1.5kg a week. I wanted to change my lifestyle so I could set a good example for my daughter. She only has half a heart and really has no choice but to maintain a healthy diet in the future. I started going to the gym, and at first would do about 20 minutes on the treadmill, hoping to burn 100-200 calories. I gradually upped the amount and level of exercise I was doing until, by the end of the competition, I was doing three hours on the cross-country ski machine and burning 1600-1700 calories. I had to make a conscious effort to fit exercise into my schedule. I’d go the gym from nine to 11 every evening so I could put my little girl to bed first. It soon became something I looked forward to and I felt much better afterwards. I’ve lost enough weight now and am 76kg, so my new aim is to build muscle. I plan to maintain my weight loss by continuing to be active and sticking to moderate indulgences. It’s all about changing your habits. Breakfast: A big burger from McDonald’s, fries, soda. Lunch: Fried chicken or a fast-food meal. Dinner: Fried chicken or meat, soda or a fizzy drink. Breakfast: Coffee with low-fat milk and a banana. Lunch: Green salad with a palm-sized portion of chicken, meat or fish. Dinner: A portion of grilled chicken, salad and fruits. Snacks: A handful of almonds or one fruit. I put on weight because I was eating badly and didn’t do any exercise. It crept on but suddenly I began to feel uncomfortable and hated going clothes shopping as nothing looked nice any more. I didn’t look good in any of the things I tried on. I had to stick to the cuts and shapes that made me look a little thinner and it even limited the colours I could wear. I kept wanting to do something about my size, but never did – until I saw a flyer about the Biggest Shrinker competition. At 82.5kg, I knew I needed to lose weight, but nothing I’d tried had really worked so I thought why not? In a sense, I had nothing to lose (except some excess weight)! I persuaded my daughter, Laila, 26, to join me so we could egg each other on. When I entered the competition, a nutritionist briefed us on the importance of sticking to a healthy diet. ‘Eat sensibly’ was one of the most important things she told me. I also found the motivational talks helpful. Every week an expert such as a nutritionist or a dietician would give us tips on good food habits. One of the speakers, nutritional therapist Laura Holland, was a great tutor and helped me see that what I should be doing is to permanently restructure my eating habits to correspond with my body’s needs, rather than go on short-term diets. I’d never been able to stick to a diet before, as I tended to lose interest and motivation very quickly, but this time turned out to be different. The first week I lost around 3kg. When I was hungry, or tempted to eat something that I shouldn’t, I’d talk to Laila and her support helped me through. We also printed our weight on a piece of paper and stuck it on the fridge after the group weigh-in every Saturday. It helped us remain focused and to walk away from the fridge. For the first three weeks I really missed sweets; I did my best to stay away from them but if I really felt the need for something sugary, I would give myself just a small piece of cake once in a while, to help me keep going. I also had a ‘cheat meal’ every Saturday after the weigh-in, when I allowed myself to satisfy some of my sweetie cravings. As I lost weight I started feeling more energetic and began going to the gym four times a week, for two hours at a time. I started with cardio and aerobics, which was unpleasant at first! Every single part of my body ached. The target weight I had in mind when I first entered the competition was 65kg and when I reached it I was so excited! I lost around 20 per cent of my body mass, which I’m very proud of, and when I was announced as having won second place at the award ceremony, I was just overwhelmed. I am now 65.7kg. These days, I enjoy being more active. If I sit still for too long I become restless and feel the need to do something, which wasn’t the case before. I can walk for miles and feel perfectly fine now. I’m more energetic and sports have become an important part of my life, so I’m constantly moving. I rarely have cravings for sweets and I never drinks sodas, which I used to have all the time before − I feel healthier, stronger and younger. Breakfast: A cup of coffee. Lunch: Rice, vegetables, bread, a few slices of cake. Dinner: Bread and rice, grilled meat, soda. Snack: A packet of crisps or a slice of cake. Breakfast: A cup of coffee with low-fat milk. Lunch: Salad and grilled seafood. Dinner: A large serving of cut fresh fruit and yogurt. I had gained 30kg since moving here from Iraq in 2003, partly because I was eating more and doing less, and also because my job requires me to sit in front of a computer for at least nine hours a day. I weighed 91.9kg. After work I didn’t have the energy or the time to exercise, nor the time to cook, so I would just end up eating junk food. I tried different diets after I first started gaining weight, but nothing really worked. This time it worked because the competition, and the encouragement and support it gave me, helped me to stay motivated and remain focused on working out and eating well. I didn’t follow a strict diet as such – I think there’s always a risk that you’ll get bored with diets and not see them through – so it was more a case of switching to healthier eating habits in general. My eating habits used to be very irregular. I didn’t have breakfast and I would often eat my main meal late at night. But during the competition I changed that and I’m much more organised now. The new eating and exercise plan could be difficult to stick to but there were things that kept me going. One was the spirit of the competition, and another was the ‘cheat meal’ I had every Saturday. The latter psychologically kept me going when the diet got tough, knowing that Saturday was my ‘happy day’. During the competition, I started going to the gym five or six times a week and these days I feel like there’s something wrong if I don’t go to the gym even for a day. I now weigh 78.5kg and I’m not quite as strict as I give myself two ‘cheat days’. I still eat a lot of salads however and I remain diligent about portion control and go to the gym five or six times a week. Entering this competition is the best thing I’ve ever done, after marrying my husband! Breakfast: A cup of instant coffee with low-fat milk. Lunch: Two small Arabic breads, rice and a plate of vegetables with meat or chicken. Or a Burger King meal, with extra-large fries! Dinner: Two big Arabic breads, cheese, labneh, mortadella and salad. Snacks: Lots of chips and/or nuts. Breakfast: Eggs with spinach, fruit, coffee. Lunch: Fruit, large salad, water. Dinner: Salad, grilled meat, water. Snacks: Yogurt, a bowl of fruit. Laugh and the world laughs with you, snore and you sleep alone. This wise quip by an English literary great sums up how difficult snoring can be on those living with a snorer. Sleeping with a snorer can cause the partner fragmented or lack of sleep; in the case of spouses, it is known to hamper their relationship as well. But for the snorer himself, snoring can be the tip of an iceberg of sleep-related disorders that need medical attention. Loud, unpleasant and embarrassing snoring happens due to obstructed air movement during breathing. Like any sound, snoring too is caused by vibrations that causes particles in the air to form sound waves. Just as our vocal cords vibrate to form our voice, turbulent airflow cause the tissues of nose and throat to vibrate which results in snoring. However, the health hazards are often overlooked. Excessive snoring, for instance, can mean sleep apnoea - a disorder where one suffers extremely low breathing during sleep. While deep sleep is key to normal body functioning, snoring obstructs you from getting there. Sleep quality is important for secretion of essential hormones such as growth hormone, melatonin and cortisol. When sleep quality suffers and harms hormone functioning, it leads to several problems such as obesity, early ageing, lethargy and hypertension. A snorer's body struggles to breathe, leading to drop in oxygen supply to the blood which in turn triggers faster heart rate to prevent oxygen deprivation. Contrary to popular perception snorers are not always fat with thick necks, and can have any body type. Thin people with slim necks are prone to snoring just as loudly. Sleep medicine specialist Dr Preeti Devnani says snoring must always be medically investigated. "Examining one's snoring can unravel complex sleep disorders. A hyper tensive who snores, for instance, is likely to have sleep apnea which can cause premature stroke, reduced immunity and heart ailments," she says. So it is advisable that a snorer consults an Ear, Nose and Throat (ENT) specialist and undergoes a few tests to assess its seriousness. When we sit or breathe at ease, air flow from our nose or mouth to lungs is steady. Under exertion, like while exercising, air quickly glides through the nose or mouth generating audible breathing sounds. In sleep, the area at the back of the throat narrows at times. The air passing through the breathing apparatus causes tissues surrounding the opening to vibrate, producing snores. Various types of snoring too indicate what the problem could be; closedmouth snoring points at a tongue problem, openmouth snoring could be due to throat tissues, snoring while sleeping on your back is often mild snoring that is easily curable; while snoring in all postures may indicate that it needs serious treatment. With age, snoring only worsens. Simple lifestyle alterations can greatly reduce snoring. Lose weight, quit smoking, avoid alcohol and heavy dinners to conquer snoring. Sleeping on your side helps reduce snoring and as does using higher pillows that help deconstrict your throat. You can also try nasal strips that aid in breathing or a throat spray that softens the soft tissues. As for medical treatments, dental appliances such as oral devices and jaw-positioners help open up the airway. Serious snorers may resort to Continuous Positive Airway Pressure (CPAP), which is a machine that blows pressurised air into a mask that you wear over your nose or face. This keeps your airway open during sleep. In extreme cases, surgery can increase the airway size by removing or rectifying tissues. A few months ago, software engineer Sachin Mahamuni moved to Mumbai from Pune. He shares his experience of living with a 'snorer' in a rented accomodation: "For the first week, I couldn't sleep a wink. My roommate would snore incessantly and in the silence of the night, it sounded amplified. All I needed after a long day's work, was a night's rest and I just couldn't get myself to sleep. I spent many restless nights and slept only in the wee hours of the morning. I'm so tired that I've learnt to sleep through it." London : Silk is set to make a leap from dressing Indian brides to potentially growing replacement tissue for damaged hearts, keeping them healthy and evergreen. Max Planck scientists in Germany have succeeded in loading cardiac muscle cells onto a 3D scaffold (framework), created using the Tasar silk produced by a tropical silkworm. Of all the body's organs, the human heart is probably the one most primed for performance and efficiency. Damaged heart muscle cannot be regenerated. Scar tissue grows in place of the damaged muscle cells. In their attempt to develop a treatment for the repair of cardiac tissue, scientists are pursuing the aim of growing replacement tissue in the lab, according to a Max Planck statement. 'Whether natural or artificial in origin, all of the tested fibres had serious disadvantages,' says Felix Engel, who led the research at the Max Planck Institute for Heart and Lung Research, Germany. Chinmoy Patra, who works in Engel's lab, said the fibre produced by the tasar silkworm displays several advantages over the other substances tested. 'The surface (of the fibre) has protein structures that facilitate the adhesion of heart muscle cells. It's also coarser than other silk fibres.' This is the reason why the muscle cells grow well on it and can form a 3D tissue structure. 'The communication between the cells was intact and they beat synchronously over a period of 20 days, just like real heart muscle,' says Engel. However, clinical application of the fibre is yet far away as the findings have to be extrapolated on human cardiac cells, said Engel.